Running is a lot like business. At heart, I’m a running purist. No headphones. No waistband for water bottles. No activity monitor or GPS tracker. Just my trusty Asics Trainers and a $10 Casio watch for pace. Seven hundred miles. At seven minutes per mile, that equates to roughly 4,900 minutes, 81.6 hours, or 3.4 days. That’s a lot of time to think. One of the secrets to running is the ability to lose yourself in positive thought; Brainstorming, reflecting, strategizing, and conjuring up crazy ideas while endorphins are going strong. It’s one way to keep the mind from thinking negative, self-deflating thoughts. Successful runs happen when the “I’m tired, thirsty, hurting, angry, frustrated, not good enough” thoughts are pushed aside for more productive thinking. Running rewards those who put the work in day in and day out. It rewards those who know and love the process just as much as the results, and who can block out the negative, learn from mistakes, then keep pushing forward. When I set out on a 10-mile run, my thoughts aren’t on the 10th mile. They’re on pace, form, technique, and getting stronger with every stride. When the run is over, I’m already thinking about the next one. What can I do next time to increase my average mile time? How was my breathing? Could I have hit another hill or pushed myself harder during the challenging parts? There are millions of great runners around the world. Each one has their strengths, weaknesses, and unique way of approaching the sport. What separates the good from the great? They’re willing to wake up at 5:00 a.m. to train because they have a full-time job and a family to take care of. They stretch, eat, and recover with purpose. Everything great runners do is calculated. Whether they’re pursuing a new career path or a new marketing channel, great business people are deliberate about their actions. They’ve done the research, thought of all possible scenarios, and considered the consequences of their actions. Deliberate action is a part of their DNA. When business owners decide to take a chance on something that seems crazy to everyone else, they know deep down that they’ve had their ears to the streets for months and that it’s a good move. One of the biggest business lessons I’ve learned from running is just how harmful negativity can be for career growth and business success. Imposter syndrome is one form of negativity that surfaces in all different types of people and situations. If you’ve ever experienced this before, you know how hard it can be to overcome. Self-doubt and a lack of confidence are closely related to imposter syndrome and can have dramatic consequences on overall well-being and business success. If you’ve put in the hard work (trained) and are successful, it’s not because of luck, or because of chance. It’s because you’ve earned it. By addressing your negative thoughts directly, over time you will develop a sort of internal confidence. Negative thoughts will start to creep in, and you’ll kick them right out. To get to that next level, we all have to push ourselves to be better. To work harder. If you want to be a great runner, at some point you’re going to have to train outside of your limits. 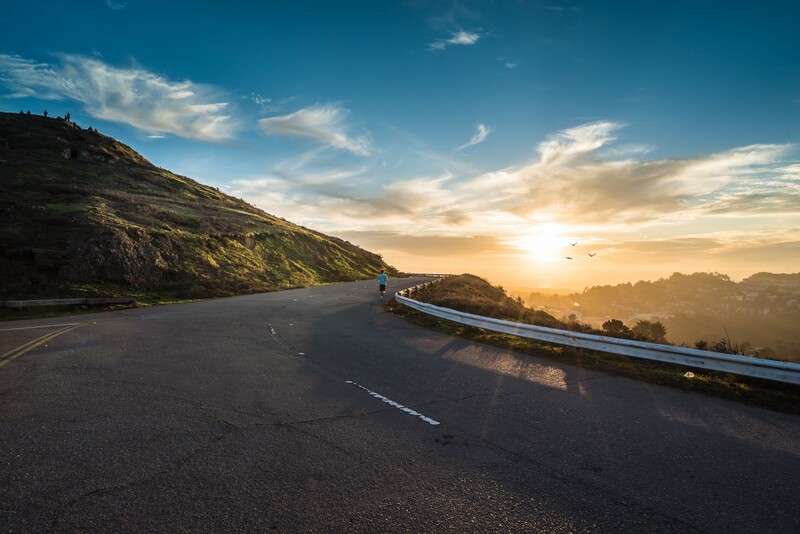 Turning that 8-mile run into a 10-mile run is what helps you get stronger so that you can achieve new milestones. In the business world, we tend to get stuck in our daily routines. But ultimately, if we want to change the results, we’re going to have to step outside of our comfort zones. Reading, taking online classes, asking questions, experimenting, measuring new data, and just flat-out doing are the best ways to take control of your outcome. Have you ever drawn similar parallels between sports or activities and business? Do you also run? What other lessons might you add to this list from your own experience? Published at open.buffer.com on March 14, 2017.